Join the 55 & Over Club & receive benefits such as savings on Zion Park District trips, social activities, game play & entertainment. Join the 55 & Over Club & gather with friends every Wednesday for the senior meeting. Meetings include prize days, bingo, entertainment & informational speakers. The first Wednesday of every month is a potluck lunch. The Park District will provide the main dish & you bring a dish to pass. Lunches require preregistration. Come join us for BINGO and dinner. Every month’s social has a filling meal and plenty of fun. Come join a great group of people while relaxing, having fun & playing an exciting game of pinochle, dominoes, cribbage, or billiards. Come watch a new release or an old classic twice a month! Strike up a conversation with friends while playing the fun game of Wii bowling. Take a chance at winning it big at the Potawatomi Casino. Registration includes a $20.00 play card. Enjoy a nice evening of dining with friends! All meal costs are on your own. Fee includes transportation. Travel back in time to Greendale Wisconsin with over 40,000 flowers blooming in beds, planters & baskets. The town also features 500+ “backwards houses”, over 200 ornately decorated chimneys & boasts 25 charming shops, restaurants & cafes in the Village Center. We will have lunch at Ferch’s Malt Shoppe & Grille. You will have a choice of: Turkey bacon wrap with French fries, Caesar salad with crispy chicken, or build your own burger with French fries. The drinks available are: tea, coffee, ice tea, lemonade or soda. Lunch also includes a sundae bar with your choice of hot fudge, caramel, strawberry toppings with whip cream & a cherry. We will finish our day shopping. Each person will receive a sheet of coupons to the various shops. Join your friends at the Morton Arboretum. More info to follow. Join your friends at the Zion Park District & spend the day touring Milwaukee Museum’s 150,000 square feet of exhibit space to visit continents and habitats. Take a small step back in time to the turn-of-the-century Streets of Old Milwaukee, European Village, and to ancient Mediterranean civilizations. Or, take a giant leap back more than 65 million years to The Third Planet and see one of the largest dinosaur skulls ever found. Stroll amid free-flying butterflies from around the world in the Puelicher Butterfly Wing. We will also take in a movie at the Dome Theater. Lunch will be on your own at The Café at The Milwaukee Public Museum. Join the Zion Park District for a relaxing & educational day at the Schlitz Audubon Nature Center in Milwaukee, WI. Highlights of the Nature Center are: The Raptor Exhibit, Mystery Lake Boardwalk, 60ft observation tower, Milner Lake viewing deck, live animal exhibits, interactive exhibits, Mezzanine Art Gallery, Nature Store & the veranda! We will stop for a late lunch on the way home. Lunch is on your own. It is recommended to bring snacks & drinks while at the Nature Center. Please remember to wear good walking shoes & sunscreen! Starved Rock State Park is nestled along the Illinois River. Our day will begin with lunch at the Starved Rock Lodge & Conference Center. The lunch menu is as follows: your choice of Grilled Chicken Caesar Salad, Starved Rock Burger, Pot Roast, Fettuccini, Grilled Chicken Breast Sandwich, Chicken Salad Croissant or Country Fried Steak. Drinks will be your choice of iced tea, coffee or soft drink. After lunch, you will enjoy a narrated trolley tour of the history & legends of the area & a riverboat ride on the “Eagle I” will take you to view the gorgeous east end of the State Park. 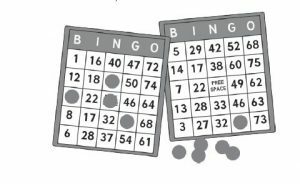 Transportation can be arranged for the following programs: Trips, Movies, 55 & Over Meeting, Brunch & Munch, & Dinner Bingo. Individuals must call the Zion Park District at 847-746-5500 to arrange transportation 24 hrs in advance. This service is free to 55 & Over Club Members & $1.00 for Non-Members. Payment must be made at the Zion Park District Leisure Center or over the phone at time of registration. Payments will not be accepted on the bus or at Shiloh Center. Please Note: Registrations and cancellations must be made by the deadline for all 55 & Over programs.